Making your own E-Liquid has been popular for some time and when you get started it’s pretty easy to see why. Once you get yourself set up the cost of mixing your own liquid is ridiculously low. Have you ever tried an E-Liquid and thought, “Oh if this had a bit extra strawberry it would be perfect for me”? If you have, the custom nature of DIY is a perfect solution. 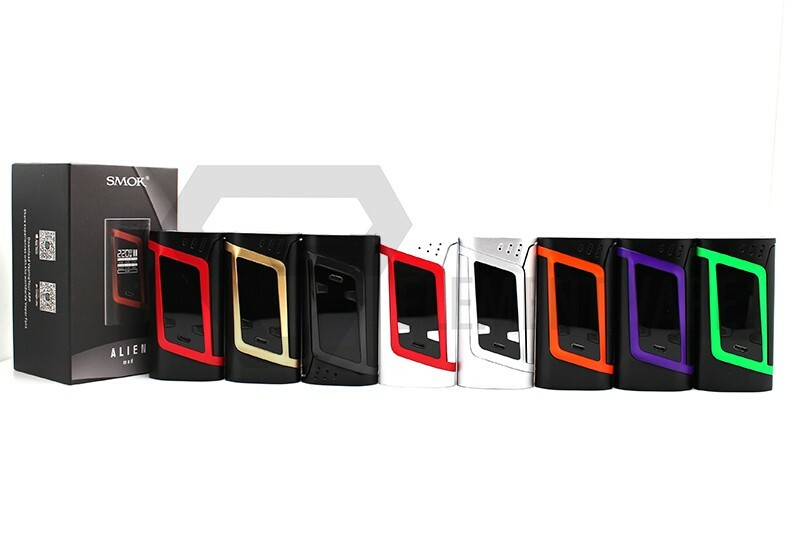 You control the flavours, nicotine content and your VG/PG ratio. And with the new regulations limiting bottles to 10ml it provides an excellent way to bypass these arbitrary limits. 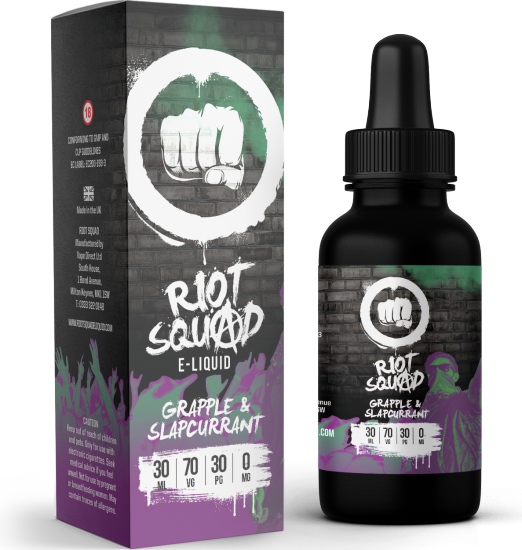 Some vendors are now providing their E-Liquid in 60ml+ bottles with an additional bottle of nicotine for you to add, shake and vape. This is essentially the first and most simple route into DIY, copying the principle of the one shot. Dip your toes: One Shots! One Shots are a fantastic first foray into mixing your own E-Liquid. A One Shot is simply a bottle of pre-mixed flavourings such as a strawberry cheesecake. Most commonly the bottle is full of flavourings dissolved in PG. All that remains for you to do is put the flavouring in your own bottle at the recommended percentage and add VG, PG and nicotine to complete your very first and very own E-Liquid. 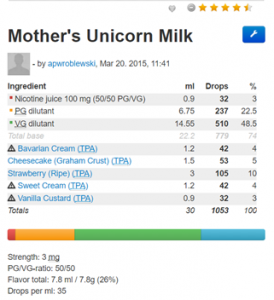 e-liquid-recipes.com is one of many sites hosting user-created recipes, on here you will find the good and bad, all rated by the community, mostly complete with notes to help you replicate them yourselves. Trawl through a few pages and find a couple that suits you. Once you have all the flavourings the amounts are all available for you to crack on yourself. 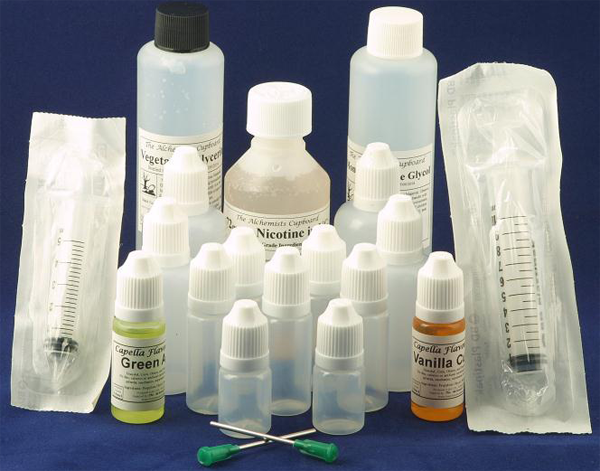 The simplest method (before you decide to invest in scales which are rather inexpensive anyway) is to syringe your nicotine and PG, use drops for your flavourings and simply top off the bottle with VG. Once you’ve got everything in the bottle, shake the living hell out of it (Lid on!) and pop it into a cool dark place. 3 days in a dark place is fine for fruity vapes, a week for the creamy ones and the more complex the recipe the longer it should rest. Give it a shake when you get the chance and replace it into the cupboard, drawer or box. This allows flavours to meld and to infuse the PG and VG so they can carry the flavour to your clouds. Looking online you may find ways to speed this up, give them a go if you like but I personally am of the view that time currently has no substitute. Once you’ve tried out a few recipes and built up your collection of flavourings you should try making your own flavours. Tweaking recipes you’ve already tried to better suit your tastes and even trying to make your own flavours from scratch based on what flavourings you’ve enjoyed. Mixing your own E-Liquid is really fun and incredibly rewarding. The cost saving is especially enticing but so is the bespoke nature of custom flavours. You can one shot and simply save time and money or you can take it on as an immersive hobby. Recipe Calculator: e-liquid-recipes.com has a great selection of recipes and provides a simple free calculator. Here you input your desired VG/PG ratio, nicotine content and flavour % and it tells you how many drops, ml, or grams of each you will need.